The management, quantification and procurement of second-line drugs to treat various forms of drug-resistant tuberculosis present a challenge to many countries. Worldwide efforts have been stepped up to find and diagnose increasing numbers of people with TB and better and more appropriate treatment regimens are being developed for children and for patients with drug-resistant TB. This emphasizes that a good system for the supply of drugs is more urgently needed than ever. Incorrect quantification can lead to expiry and/or unavailability of drugs to patients. It also leads to difficulties for the Global Drug Facility (GDF) to realize timely deliveries of drugs to countries. 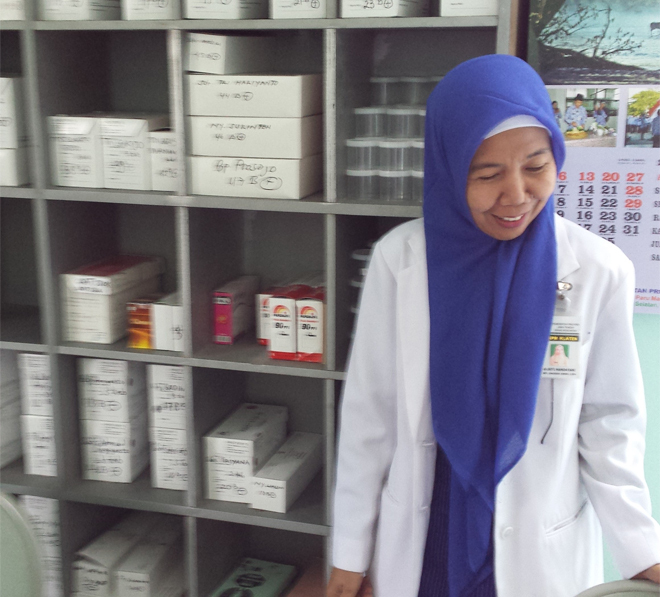 The supply of pediatric drugs and second-line drugs for treating MDR-TB is internationally coordinated by GDF. An uninterrupted supply of appropriate drugs is crucial to the successful treatment and cure of TB and to avert further emergence of drug-resistance. Good drug management is highly dependent on the quality and accuracy of the data on numbers of patients on treatment, the drugs they take and drug stock positions. In 2012, KNCV led the development of a data dictionary that defines all relevant data required for TB drugs forecasting. KNCV’s partner MSH developed and launched the software tool QuanTB in 2013. QuanTB can assist countries in their TB drug quantifications, forecasts and drug orders at national or sub-national levels, based on routine patient enrolment and drug stock information. While, in principle, QuanTB can be used for the management of any drug, the software tool was specifically designed to quantify and forecast the procurement of first and second-line TB drugs and pediatric formulations. Importantly, QuanTB can produce standardized output files that can be uploaded to the GDF Early Warning System that is expected to become operational soon for countries that procure quality-assured anti-TB drugs through GDF. This is expected to improve global forecasting of the demand for quality-assured TB drugs, ultimately leading to more stable supplies of quality assured TB drugs, especially second line drugs and pediatric formulations. KNCV assists countries in the use of QuanTB and supply chain management, thereby improving the uninterrupted availability of (second-line) TB drugs in countries.